Some of the festivals i have mentioned only the neivedhyam part. Tamil New year is the beginning of the new year and first and important festival.it is beginning of the chittirai masam so my father used to do tarpanam.my mother used to put a padi kolam and run kavi or semman(red colour border) around the kolam. 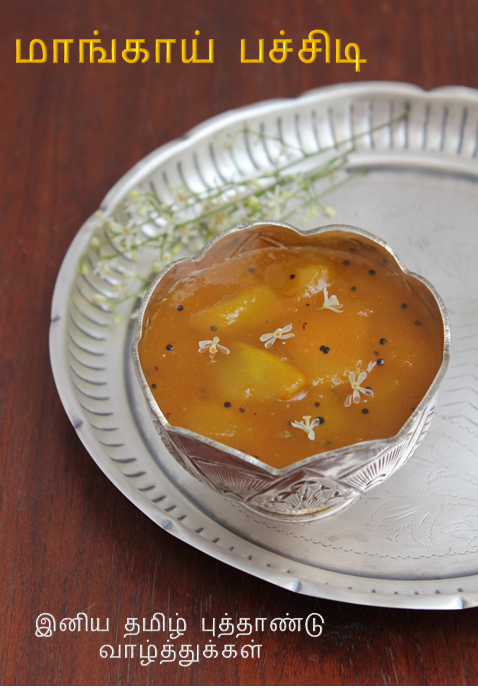 She used to make payasam,vadai,appalam and mango pachidi specially other than the sambar,rasam,kootu and curry. 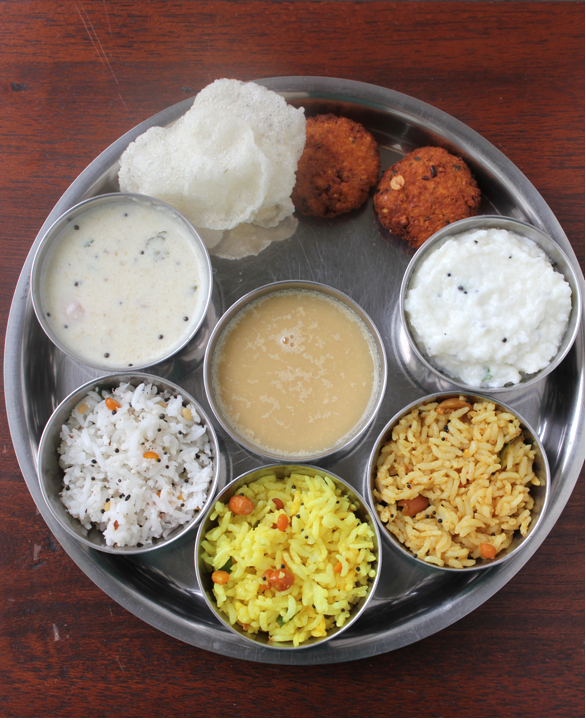 Apart from the menu these are the special items prepared for neivedhyam. 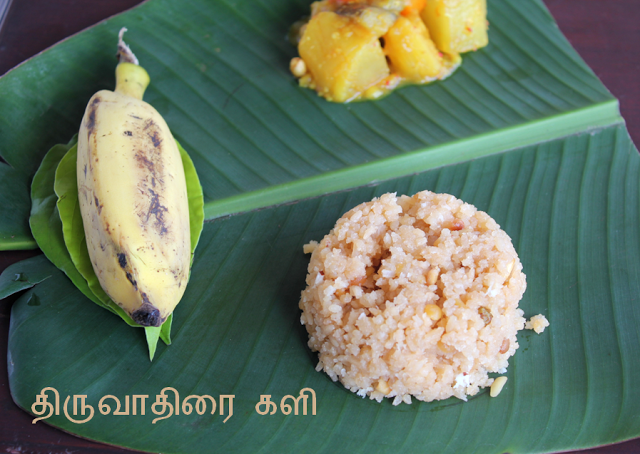 This is the first day of Addi(Tamil month)Masam. 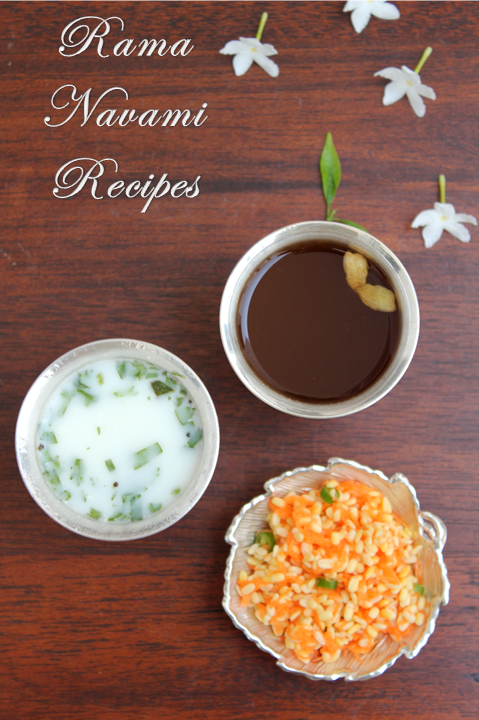 This is the 18thday of Aadi masam you make 4 types of rice variety and it is a neivedhyam for Cauvery amman. Apart from the above The following things can be kept for Neivedhaym. 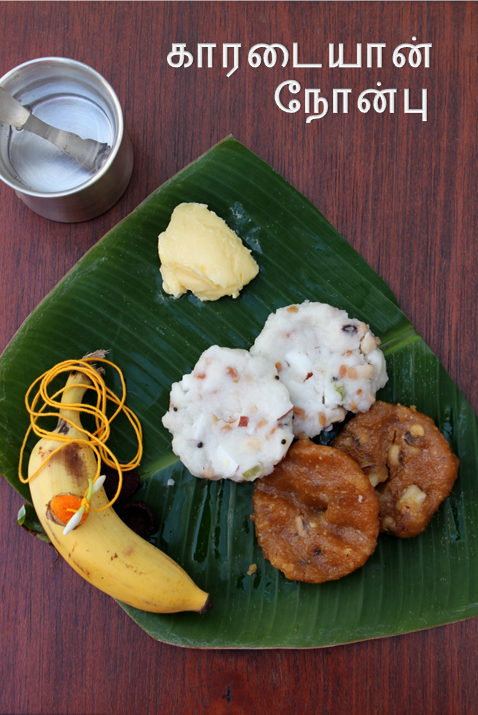 Navarathri starts on Next day of Amavasya in Purattasi masam(Tamil Month).We Generally set up the steps for Golu and arrange the dolls on Amavasya day and start calling people from the next day. 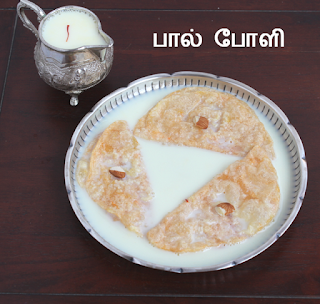 We call neighbors,friends and relatives in the evenings and give them Vetrilai,pakku,fruit and coconut.Along with that we give a sundal and a sweet that is offered a s neivedhyam for the golu. 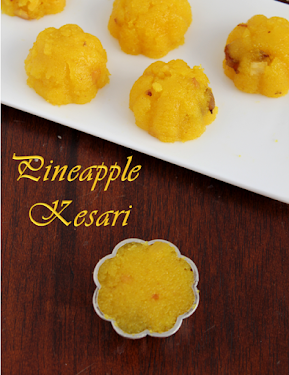 Friday of the Navrathri is very special to call people and we make Arisi vella puttu for neivedhyam. 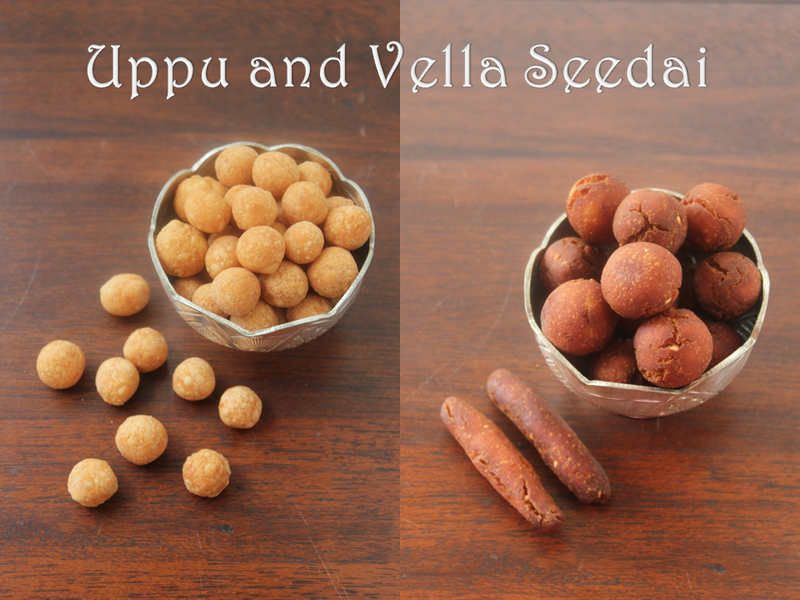 All the nine days of Navrathri you make a Sundal and a payasam for neivedhyam for the Golu and give it to people. Whether you keep golu or no saraswathi poojai is done in all the houses.A new blouse piece or a cloth with flowers is placed on the Saraswathi photo.Important books and musical Instruments are kept for the pooja. 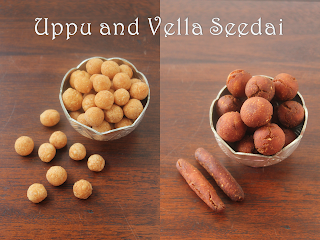 After the pooja put sandhanam and kunkumam on all the objects in the house like doors,tables,tv and cupboards. Karthigai Deepam is a festival of Lights for the Tamilians.We light lamps especially agal vilakku which are made our of mud, all over the house and light the big kuthuvilakku's and place it in the middle of decorative kolams inside the house.My mother used to put kolams with soaked and groud rice flour.It is called ezha Kolam all over the house and a decorative design in the middle of the house to put the Kuthuvilakku(either silver or Venkalam).Every year it is a custom to buy 4 new agal vilakkus to add to the collection.Wipe the agal vilakkus with a tissue(because it is mud we cannot wash them)put sandhanam and kunkumam on two or four sides and place them on a palagai in a row.Later in the evening put the thiri and pour Gigelly oil and light one by one and place it around the house.Now a days we all live in apartments it is not possible to put vilakus around the house so you can place the small agal villakus around the kolam. We make two types of pori urundai and two types of adai and appam for neivedhyam in the evening apart from pazham,pakku and vetrilai. 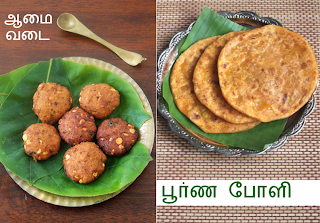 In the mornings apart from the usual menu we make a payasam,vadai and appalam. These are the things made for neivedhyam in the evening when you light the lamps. 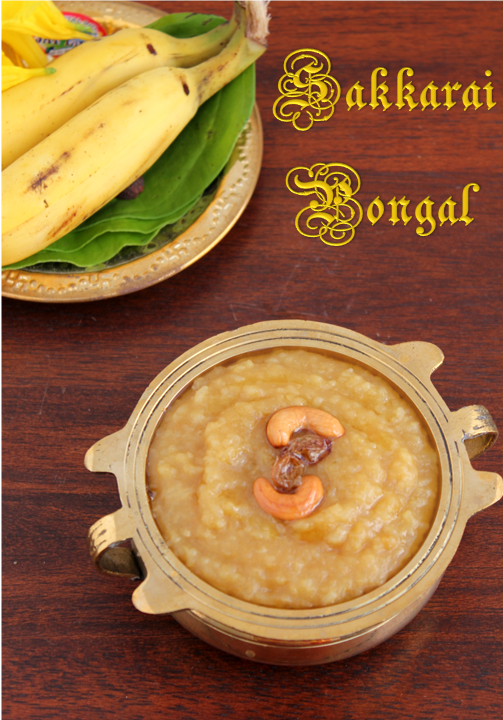 Bhogi is the first day of pongal which is celebrated in the last day of Margzhi masam.People usually collect all the unwanted things in the house and burn them in the centre of the village like a bonfire basically to keep them warm in the last days of winter. People also pain their housed to give it a fresh look after the rains. I have given the Taditional menu in a Tamil Brhamin house in Tanjore style below.Each family has their own practises and preferences. your blog is really good and interesting. Hope to see many more recipes. Your blog is really good.. my friend Mrs. Priya Venkat tried your chocolate burfi and got the result very nicely. It is she who recommended your website to all our friends in whatsapp group..Good job..Keep it up!!! 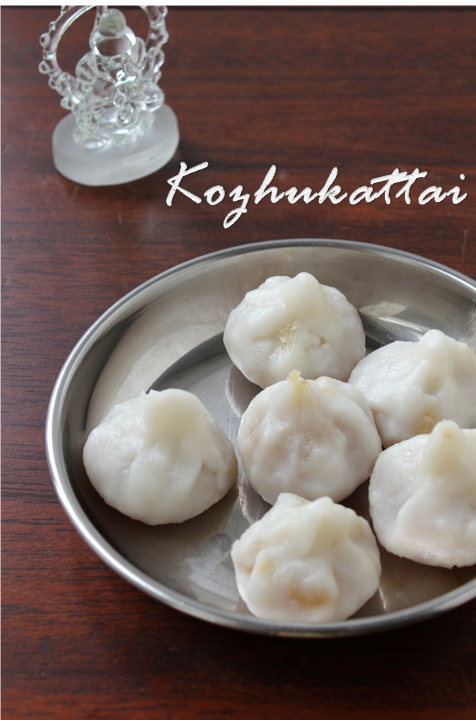 Thank you Kousalya for your appreciation!